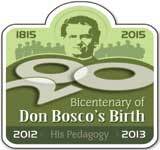 Don Bosco University is a project of the Salesians of Don Bosco (SDB) executed by Don Bosco Society, Azara, Guwahati. Presently, Salesians are working in 132 countries catering to over nine million young people worldwide; Salesians have been recognized by Government of India as the single largest provider of technical education in India, second only to the Government. More than 100 Salesian technical schools and 25 colleges have been established in India. Scores of non-formal training centers, agricultural training centers, relief and rehabilitation centers, literacy centers and shelters for street children in India are managed by the salesians of Don Bosco. A preferential option for young people from the lower strata of society, providing them with an education and preparing them for their insertion into the world of work. Close attention to the inter-relationship between culture, religion, science, technology, education, professional ethics and integrity of life. A spirit of family characterized by the presence of teachers and administrators among and for the students. An academic and educative style of relationship founded on reason, religion and kindness. Special attention to the formation of educators, the field of technology and work, and the world of communications. Efforts to promote in society formative programs that impact educative processes as well as strategies and policies for youth research, teaching, study and cultural services aimed to know better the situation of youth, especially the most disadvantaged, to bring about their positive transformation. 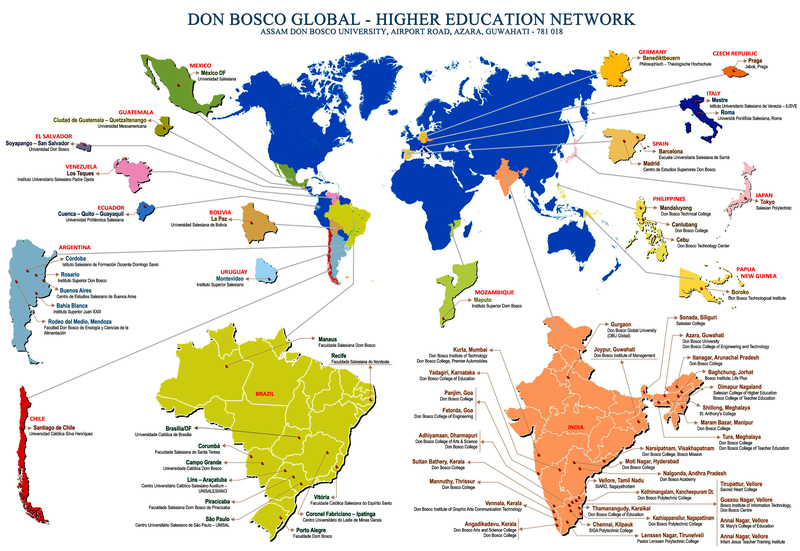 Don Bosco University aims at excellence in teaching & formation and seeks to realize a vibrant campus ministry program. It offers a basket of ‘finishing school' skills and quality placements for each and every student. Every process in the system comes under the purview of continuous and on-going evaluation. A sustained proactive alumni association is to carry forward the lifelong learning of the DBU students and their partnership with the Vision of their alma mater. The thrust areas of study and research have three major sectors; viz., Technology, Service and Social sectors. The Technology sectors include information and related fields, biotechnology and related fields. The Service Sector covers nursing, pharmacy, paramedical, psychology, counseling, management, media, arts, teacher education, social work, rural development and related fields. The Social sector has religion and culture, ethics, governance and tribal studies and other related fields. Distance Education reaching to the remotest and most inaccessible corners through distance education programs using IT-enabled techniques. Commitment to society involves study and training programs for women, farmers and local industries along community college lines; fully sponsored residential school for underprivileged especially tribal children. DBU ensures equity and access through scholarships for promising students, free studentships for disadvantaged meritorious students and student loans.